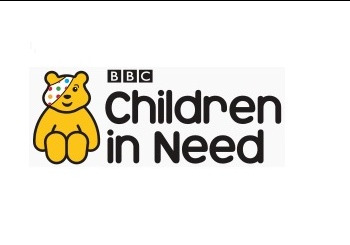 For the 3rd year in a row Howards Peugeot dealership at Yeovil will be joining forces with Pudsey Bear and fellow Peugeot dealerships UK wide to raise funds for BBC Children in Need. Helping to generate funds of over £750 000 so far, the Peugeot dealers network are aiming to break the 1 million barrier with their “Dynamic Duo” fundraising mission, dressing in the finest superhero costumes to save the day! This year the team at Brympton Way will be transformed to caped crusaders, taking part in numerous events including car washing, cake baking and sponsored runs, cycles and abseils. Teaming up with Peugeot UK, the dealership also have the opportunity to get involved with a number of national challenges taking place between Paris and Pinley House Coventry, including a sponsored abseil, swim, cycle and for the brave a skydive! Danny Street, Sales Manager at Howards Yeovil said “All of our team members are eager to use their powers for the greater good and we can’t wait to get started so that we can raise even more money than last year for this great cause, helping disadvantaged children and young people across the country”. Everyone is welcome at the dealership to get involved and show their support for such a great cause. Since its launch in 1980, BBC Children In Need has helped to raise over £600 million to positively change the lives of disabled and young people throughout the UK. With the annual telethon hosted this Friday, it’s never been easier to get involved, with the #bearfaced campaign over social media set to be a huge success. All you need to do is to pop to your local Boots for your small Pudsey paw print and upload a no makeup selfie onto the Children In Need section of the BBC website, or share on your Twitter or Facebook account to join the trend. For the full array of activities you can get involved with to become a fundraising hero yourself or donate head over to the BBC Pudsey page! Alternatively you can contact Howards Peugeot Yeovil on 01935 403040, Email Us or visit the dealership!